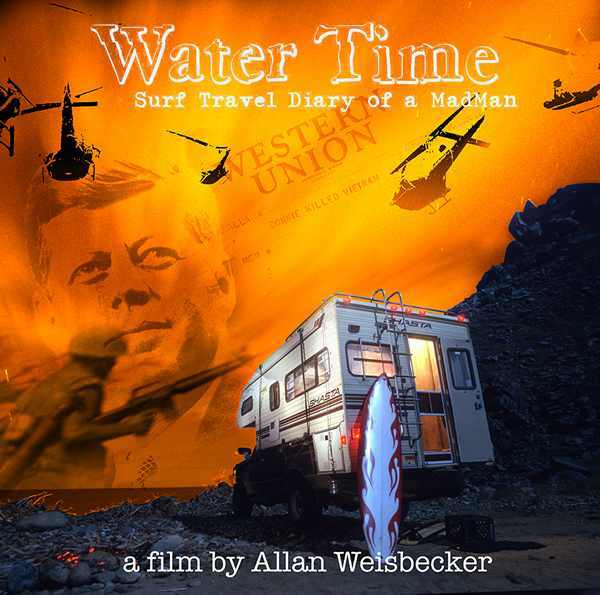 Somehow the film Water Time by Allan Weisbecker made it onto my hard disk and it was well worth watching albeit frustrating. Frustrating because it confirmed my own experience with my fellow human’s acceptance of new facts that violate their ready-made conceptions – namely none, zero, nada, zilch. But I never heard such honest statements as “No, I don’t change my mind – whatever the evidence might be!” What I personally get most of the time is rejection or attempts to question the validity of evidence or fact. Over the last years it has become quite evident to me that the root of all evil is government. For the simple fact that they claim for themselves to be above and beyond any morality. We teach our kids that taking things away from other kids is stealing and we should not do that. Yet when the tax collector calls it tax and does the same thing – it somehow is something other than stealing – but it’s not! This is such an obvious truth but try to explain this to somebody who has paid taxes for all of his life and could not admit that this is morally wrong – simply because he would have to admit that he was wrong for all of his life. It appears that to admit being mistaken is very difficult for many and it is easier to insist to have been right all along. This entry was posted in Diary, Educational, History, Philosophical, Politics, Video and tagged education, Government, Knowledge, Meta-ethics, Mistake, tax, truth, Validity on May 10, 2014 by Merlin Silk. The only answer I could come up with was that people put more significance or importance on a story if it is ‘true’. But for the movie in question the choice of the phrase ‘inspired by’ could mean as little as “I saw a dog fall into a pond and had the idea to make a movie about cave scuba diving.” Surely, there is a true event – dog falling into pond – and that inspired the making of that movie. I have learned a long time ago that ‘true’ is a very elastic term. When I had the experience that two people, with no agenda to sway me one way or the other, told me about the same event and I could not recognize the event as one and the same, I learned that ‘Truth’ is a relative term – a fact that detectives and investigators understand. With this said, the following story had the label ‘true’ but I do not really care – it’s a good story with something to learn from. It came in a viral email with the typical ending, that I had to send it to at least three people to have my wishes come true at some point in time and to 126 people if I want them to come true right away. I leave this part of the email out and concentrate on the story itself. I am a mother of three (ages 14, 12, 3) and have recently completed my college degree. The last class I had to take was Sociology. The teacher was absolutely inspiring with the qualities that I wish every human being had been graced with. The class was asked to go out and smile at three people and document their reactions. I am a very friendly person and always smile at everyone and say hello anyway. So, I thought this would be a piece of cake – literally. Soon after we were assigned the project, my husband, youngest son, and I went out to McDonald’s one a crisp March morning. It was just our way of sharing special playtime with our son. We were standing in line, waiting to be served, when all of a sudden everyone around us began to back away, and then even my husband did. I did not move an inch – an overwhelming feeling of panic welled up inside of me as I turned to see why they had moved. As I turned around I smelled a horrible ‘dirty body’ smell, and there, standing behind me, were two poor homeless men. As I looked down at the short gentleman, close to me, he was ‘smiling.’ His beautiful sky blue eyes were full of God’s Light as he searched for acceptance. He said, ‘Good day’ as he counted the few coins he had been clutching. The second man fumbled with his hands as he stood behind his friend. I realized the second man was mentally challenged and the blue-eyed gentleman was his salvation. I held my tears as I stood there with them. The young lady at the counter asked him what they wanted. Then I really felt it – the compulsion was so great I almost reached out and embraced the little man with the blue eyes. That is when I noticed all eyes in the Restaurant were set on me, judging my every action. We held hands for a moment and at that time, we knew that only because of the Grace that we had been given were we able to give. We are not church goers, but we are believers. That day showed me the pure Light of God’s sweet love. I returned to college, on the last evening of class, with this story in hand. I turned in ‘my project’ and the instructor read it. Then she looked up at me and said, ‘Can I share this?’ I slowly nodded as she got the attention of the class. She began to read and that is when I knew that we as human beings and being part of God share this need to heal people and to be healed. In my own way I had touched the people at McDonald’s, my son, the instructor, and every soul that shared the classroom on the last night I spent as a college student. This entry was posted in Emotional, Stories and tagged Human Interest, James Cameron, McDonald's, smile, sociology, story telling, teacher, truth on February 6, 2011 by Merlin Silk.